We're Turning One, Getting #Storied, And Listening To Johnnyswim At SXSW! 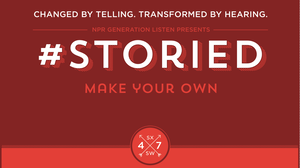 January 8, 2014  Introducing #STORIED: NPR Generation Listen's SXSW 2014 event. May 30, 2013  That's right folks, while you were busy dancing your face off at the Yeah Yeah Yeahs' sole SXSW performance this year (or perhaps from the safety of someplace more private), Apple was capturing footage for their new iPhone 5 ad. Watch for us around 25 seconds into the video. March 11, 2013  The Leap Motion Controller senses and tracks hand motions to allow users to browse the Web, play games and open documents. It represents another step in a goal of computer scientists: to make interactions with machines feel natural and easy, and to take away the barriers between humans and computers. 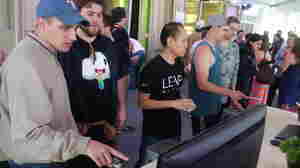 March 8, 2013  The challenge, launching during the SXSW festival Saturday, asks anyone with an Internet connection to try to create a rocket engine. 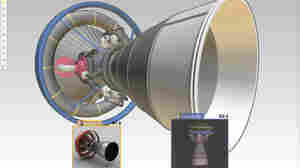 The 3-D designs can be edited by users around the globe, a model the organizers hope will decrease the cost of space innovation and unleash "untapped potential around the world." March 6, 2013  As the tech industry prepares to descend on Austin, the breakout themes and apps of this year's festival remain unclear. March 13, 2012  BBH Labs, the "skunkworks" of marketing firm Bartle Bogle Hegarty, created "Homeless Hotspots" in Austin for the South by Southwest (SXSW) festival that's now under way in the Texas capital. 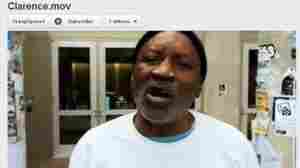 The money goes to the homeless men, BBH says.